Kellyenterprises.net Exclusive, KAC 14.5" Pinned & Welded SR15 Rifle! Call for Today's Lowest Price! FMP G3S 308 HK Licensed Pre Ban Transition Variant , Like New! Knight's Armament SR15 & SR30 Complete Lowers w/ SBA3 Braces! Lowers are $795 Shipped w/Card, Add $100 for Brace, In Stock Now! MKE Zenith Z-5RS 9mm Pistol as pictured ready to ship now! 4/12/19 In Stock Now, Ask for Today's Best Price! SR-15 & SR-30 Lower Receivers On Sale!! $795 w/ Free shipping and No CC Fees ! JUST SOLD, MORE ON THE WAY IN NOW! We Buy Pre Ban Imported Assault Weapons Daily! 3/22/19 Guns shipping to Customers now!! Now Taking Backorders for Spring, Ask for The Best Price! Running cards as they ship. $1149 FREE SHIPPING, NO FEES! Just sold, more coming in now! NIB Norinco 84s 5.56mm Rifle, Gun & Accessories LNIB! Knight's Armament SR-15 14.5" Upper Receivers, NIB, On Sale Now! HK 93 Para Stock .223 Rifle, All Original, NIB w/All Accessories, Unfired! Knights Armament SR15 14.5" MLOK Pistol w/ SBA3 Brace, NIB! Sear Ready, and 922r Compliant, Ready to SBR! We will Meet or Beat Anyone's Price, Call for Lowest Price! We specialize in High Quality Military and Collector Grade Weapons from Knight's Armament, MKE Zenith, POF, HK, Barrett, Colt, And Pre Ban Weapons. We do have hard to find items and Pre Ban assault weapons coming in weekly, and we always carry like new Pre Ban IMI UZI's in stock. Go to Featured and Rare Firearms Section to will find collector grade and Pre-Ban weapons and new or limited production, hard to locate items. 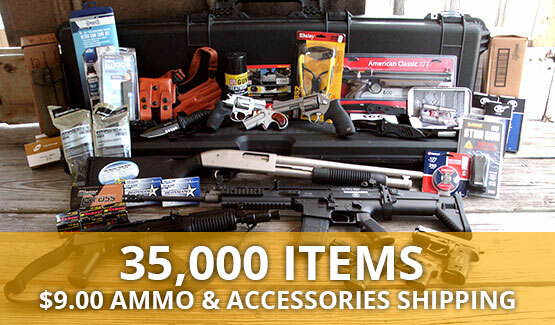 For other more popular guns, ammunition and accessories, go to 35,000 Firearms, Ammo and Accessories. 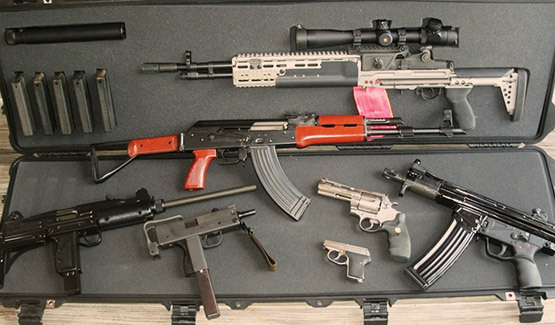 We have over 35,000 Items, including 5000 guns of all types with ammunition and accessories from every major manufacturer. If you are looking for something you don't see on this website yet, or want to place an order, feel free to contact Chuck @ 305-923-6560 or email chuck@kellyenterprises.net for help locating the item you are searching for. I'm here to help you from 9am-9pm, 7 days a week. Thanks for looking and enjoy the website. To place an order call Chuck 305-923-6560, 7 days a week between 9am-9pm EST. At that time, I will give you an order number and process payments. Then contact your FFL dealer and have them send his FFL to me with your name and order number on it. Use my email chuck@kellyenterprises.net or fax to 305-517-6524. Guns ship daily.